when you order from Germany. It is possible that it will be charged additional custom duties by the transport company at deliveries to switzerland or other countries outside of the EU. Further informations can provide your local customs service. Which transport company you use for the delivery? Within germany all our Japan Racing Wheels will only be send by DHL. Also to all other countries inside and outside of the EU the transport company DHL will deliver the package to you. All packages are automatically insured by transport damage or lost. How long it will take until I receive my Japan Racing Wheels? If you order before 3 o´clock we will work on your order on the same day. Normally the whole process including shipping to your adress will take about 5-7 working days when the adress is located in germany. It will take 7-9 working days when the delivery adress is in Austria or mostly any other european country. At specific circumstances at transport the delivery time can slightly change. 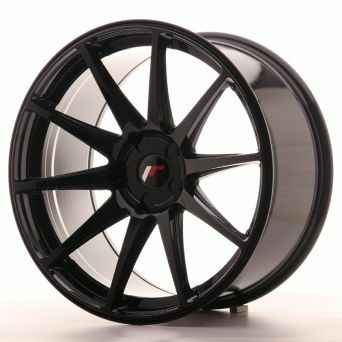 In any case you will receive automatically an email when your Japan Racing wheels will leave our warehouse.